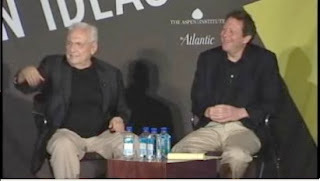 In the past ten days or so, the outline of a curious episode involving Frank Gehry at the Aspen Ideas Festival has emerged in the blogosphere, but now that the video has surfaced, we can all judge for ourselves. My summary: Gehry was obnoxiously imperial in dismissing some legitimate questions by Fred Kent of the Project for Public Spaces (PPS); Gehry should know Kent by reputation but apparently does not; Kent was longwinded but not “pompous” as Gehry dismissed him; and, yes, Gehry is quite thin-skinned, as we’ve learned from his role in the Atlantic Yards saga. Thus, I think that James Fallows, the distinguished Atlantic magazine national correspondent who chronicled the July 3 episode in his blog--and, until the video emerged, essentially owned the story--went somewhat too easy on Gehry. PPS is also a member of the mend-it-don't-end-it coalition BrooklynSpeaks, criticizing the design of Atlantic Yards though not joining Develop Don't Destroy Brooklyn and others bringing legal challenges. Here’s the video. The sequence at issue begins at about 54:17, but the entire interview is worth watching. 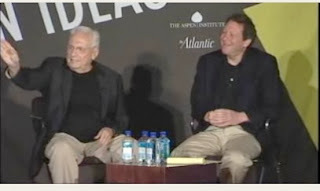 Consider that the Aspen Ideas Festival is apparently a convivial gathering of the elite, and this was a friendly interviewer and friendly crowd. Interviewer Thomas J. Pritzker is chairman and CEO of the Pritzker Organization, a family merchant bank, and also chairs Global Hyatt Corporation, which sponsors the Pritzker Architecture Prize, the profession’s highest honor, which Gehry won in 1989, eight years before Bilbao. The two are personal friends. Thus began several exchanges in which they talked over each other. Gehry: “on my buildings.” He chuckled a little nervously. 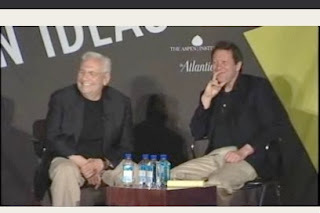 “But your question is very insulting to me,” Gehry said, maintaining a slight smile. 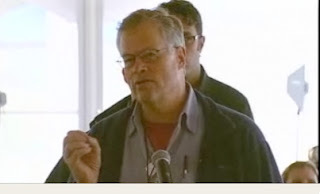 “I’m sorry, I but I have to go and fix the places up around the world,” Kent responded. “Not my place you ain’t fixed,” Gehry said, adding an edge to his playfulness. The camera quickly back to Kent, who maintained his composure, with a small wave of his hand, the equivalent of a shrug. Many in the crowd clapped. “You asked--” Kent tried to continue. Then the questions from the audience began. The second or third was from a fairly insistent character whose premise was that great "iconic" buildings nonetheless fell short as fully attractive and effective "public places," where people were drawn to congregate and spend time. He said he was challenging Gehry to do even more to make his buildings attractive by this measure too. Fallows thought it was fair that Gehry felt the question was insulting, but wrote that Gehry’s dismissive gesture was incredible and unforgettable... I was sorry that I witnessed those thirty seconds. They are impossible to forget and entirely change my impression of the man. I was more amazed when part of the audience, maybe by reflex, applauded. When the video of this episode goes up on the Ideas Festival site, judge for yourself. I wasn’t so amazed. 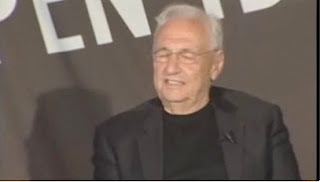 Gehry is a famous world figure and the crowd was on his side too in January 2006.
a few lame excuses. One is that I'm eighty and I get freaked out with petty annoyances more than I ever did when I was younger. Two, I didn't really want to be there - I got caught in it by friends. And three - I do get questions like that and this guy seemed intent on getting himself a pulpit. I think I gave him an opportunity to be specific about his critique. Turns out that he followed Tommy Pritzker [the moderator of Gehry's session] around the next day and badgered him about the same issues. His arguments, according to Tommy, didn't hold much water. I think what annoyed me most was that he was marketing himself at everyone's expense. I apologize for offending you. Thanks for telling me. To state the obvious, this reply is classy in the extreme and makes me feel better in many ways. As for trusting Pritzker on Kent’s work, Gehry should do his own research--and, by extension, so should Fallows. My own view is that one can thread the needle — it is in fact possible for starchitecture to be good urbanism if it is done with urbanism in mind. No time for the explanation right now but the solution is extremely simple. Why won't Gehry take up the issue? He must be able to see how profoundly un-urban a building Disney Hall is. And he's gotta be able to see the extremely simple solution. Why the silence? Let it rip Mr. Gehry. Come down off your throne. 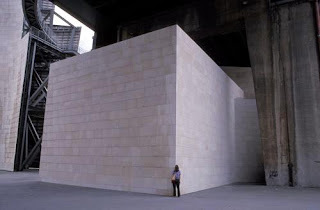 Hemric offered a long and interesting comment influenced by his interpretation of Jane Jacobs, noting that, while some buildings beautiful as sculpture may be anti-urban, not every building /structure in a city must be urbane for a city or city district to be healthy. I am interested in this question and hope to return to the general topic, in talking about urban design as expressed in many of the new mega-cities I have seen across China. But frankly I don't know enough about the argument as it involves Gehry's buildings to have a view right now. That Gehry was dismissive of the subject itself and so self important in his response shows just how far removed he and other proponents of "iconic-for-iconic-sake" architecture are from the reality of urban life today... For them to accuse me of using their fame to get attention for myself and my organization speaks to their insecurity and isolation from the larger world around them. I don’t think any of his places have been “fixed up”, but many need it. 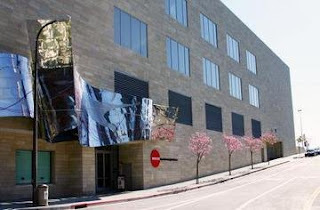 We have worked on many “iconic” buildings including libraries, campuses, museums, and federal buildings. Many grew out of the ideology that Gehry started with Bilbao. They have done some programming around Bilbao which has helped to some degree. Fallows then presented a note “from an architecture professor in Rome who also happens to be my brother-in-law,” who observed that “Adulation, deference and pompousness are indeed traits frequently found in great architects." 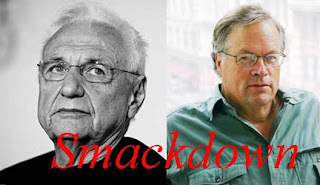 Fallows also offered three comments from readers who both defended and criticized Gehry. There's a very simple explanation: the work of guys like Gehry (of course all architects, to be fair) impacts enormously and directly in our daily lives. Politics at the local level is almost entirely land-use politics. It is only global journalists like Fallows who seem to ignore the great interest in what can best be called urban design— and usually very crudely expressed — which people at the neighborhood level have in what is built in their neighborhood. ...I was also trying to allude to a vast gap in the general intellectual media — one akin to C.P. Snow's Two Cultures of "science" versus "humanities' — in which there is very little awareness among general intellectual media of the critical issues surrounding the built environment. Atlantic Yards and Chelsea Barracks are huge and rich arenas for discussion and ones critical to the future of our world. Yet does anyone report on them besides the narrowly-focussed "architectural critics" such as Nicolai Ourossoff? I would venture "no." They appear to be local arts-craftsy sideshows instead of disputes central to our global future. Actually, there’s a good deal of reporting and commentary on Atlantic Yards beyond Ouroussoff. (Gehry was recently removed from the project, though he won't comment and Forest City Ratner continues to spin.) And I don't think it's fair to say Fallows is not interested in urban design; it's one of the issues he addresses in his thoughtful reports from China. I have never ever seen a man — especially a famous man at the top of his game— embarrass himself in public as did Gehry at Aspen. I think Gehry's performance was pretty much par for the course--exposing the defensive and prickly personality just below the surface of a genius architect used to adulation and softball questions.